I’m a sucker for comfort food. I mean, it’s not just that I likecertain foods, but that they do bring comfort. When I’m feelng lousy, a fried egg on toast gives me a lift, I swear it does. On a cold, rainy night, there’s nothing like Sloppy Joes to drive away the chill. And Mac ‘n Cheese? That’s comfort food any time. What makes comfort food comfort food? In some instances, it’s food from our childhood that reminds us of home. In others, it’s food that is just fattening enough to be a splurge when we need to break the rules. In still others, it’s food that has traditionally been associated with relaxation, celebration, or encouragement. For years, I’ve made lentil soup for my family from a handed-down recipe, and, in the Delinsky home, it represents satiation and warmth. 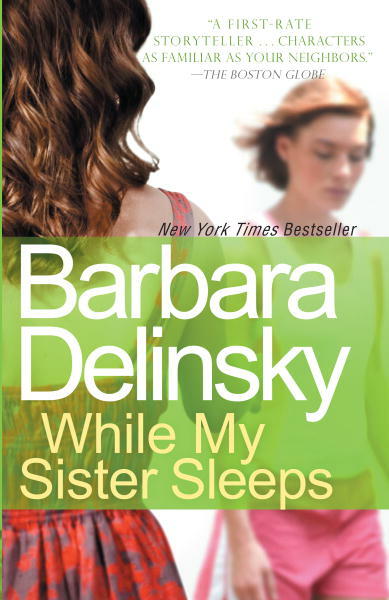 It fills us up, body and spirit – which is exactly what the Snow famly in While My Sister Sleepsneeds in those final pages of the book. This family has lived a nightmare. Its 32-year-old daughter, the oldest of three children, an elite marathoner, the star of the family, has had a massive heart attack and is on life support. Her powerhouse of a mom is paralyzed, her dad takes his usual backseat, and her brother is preoccupied with marital woes. Molly, the baby of the family at 27 and, up to that point, very much a background person, is the only one who can speak for Robin. But the voice that comes out offers surprises, and, for that, comfort is needed. Hence, lentil soup. I imagine it in a pot on the stove in the kitchen at the end of the book, brought over by a well-meaning friend. Likewise, the hot mulled cider that simmers beside it. Between the two, hearty smells fill the room. The Snow family has come a long way by now and is actually seeing the cloud’s silver lining, but this soup – this ultimate comfort food – will ensure an ongoing sense of hope. And the cider? Pure pleasure there. Enjoy! In a large soup pot, heat oil over medium heat. Add onion and sauté until translucent. Add to the pot 10 cups of cold water, then lentils, carrots, bouillon, hot pepper sauce, salt, and fresh pepper to taste. Bring to a boil over high heat. 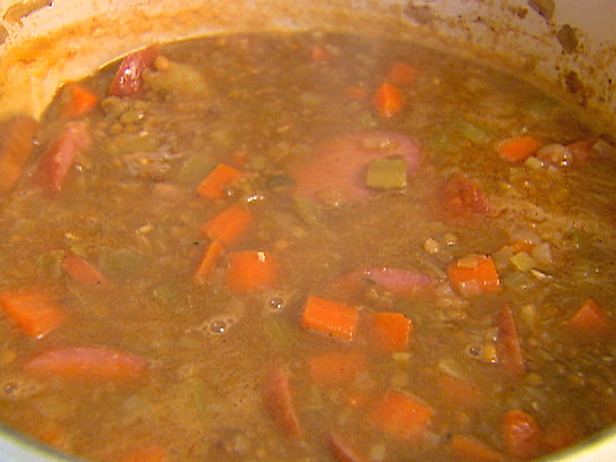 Turn heat to low, cover, and simmer for 40 minutes, or until lentils are tender but have not lost their shape. Add knockwurst and heat through. To make the spice bag: Place cinnamon, allspice, and cloves in a piece of cheesecloth and tie tightly. Set aside. To make the cider: In a large saucepan combine apple cider, brown sugar, and nutmeg. Add spice bag. Bring to boil over medium-high heat. Reduce heat, cover, and simmer for 10 minutes. Remove spice bag and discard. 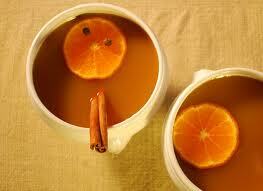 Serve cider in large mugs with a clove-studded orange slice in each.